It seems everyone has a blog these days, so why not you dentist? It seems everyone has a blog these days, so why not your dentist? I thought this may be a great opportunity to write directly to you, our patients, without the pre-designed, stock, ready-made newsletters. These words, for better or worse, come from me. Since this is my first blog, I will be brief. Actually, I’ll always try to be brief. I would like this blog to inform you about our office but also where dentistry is today. And, I’d like it to be interesting and fun! I have been practicing cosmetic dentistry in Stamford, Connecticut and would like to share my experience. I have been very fortunate to have had a great staff and wonderful patients. My patients come from many areas such as Darien, New Canaan, Stamford, Norwalk, Greenwich and Westchester County, New York. We also have patients that travel great distances because of the trust that they have in me. We have a patient that flies in from London, England just for his dental appointments! I am humbled by such devotion. Since this is my first blog, I will be brief. Actually, I’ll always try to be brief. I would like this blog to inform you about our office but also where dentistry is today. And, I’d like it to be interesting and fun! Close your eyes imagine Barack Obama’s smile. Barack Obama’s smile is welcoming, friendly. 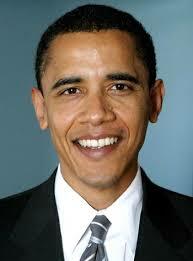 It is not just Barack Obama’s white teeth. It is the shape of the smile as well as the teeth, the length of the teeth and the ratio of length to width of the incisors. Notice how the teeth follow the lower lip line. His smile is fully symmetric with the midline of his face. His smile comes very close to an ideal that we follow in reconstructive dentistry! That is not to mean that we all should have the same Barack Obama smile! Each smile is individual. In cosmetic dentistry, we look at many factors, the shape of the face, the midline of the face, symmetry to see what works. But many things stand out. And many of those things are straight math. For example, when we are young our central incisors (the front two teeth) have a length of approximately 11.5 mm (plus or minus 0.5mm). As we age, that length decreases. Why? Factors such as chewing and grinding cause this wear. A 45 year old patient recently came into our office with the central incisors length at 6 mm!! Almost 50% tooth structure was lost to clenching. In restorative dentistry, we want to bring back what has been lost. To come close to what we consider the ideal for that patient. The important message here is that the restorative care, to return a patient back to what was once there and has been lost, has the side benefit of being cosmetic as well. Form follows Function.